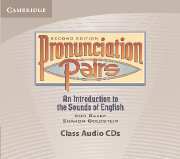 The Pronunciation Pairs, Second Edition, class audio CDs include all of the listening tasks presented in the Student's Book. Students will have ample practice listening to and repeating the sounds of English. Students will hear vowel and consonant sounds, word pairs, dialogs, and examples of stress, intonation, and linking. 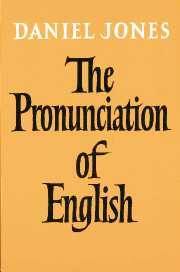 This book provides, in a lucid and authoritative manner, the basic information on pronunciation of English needed by foreign students.